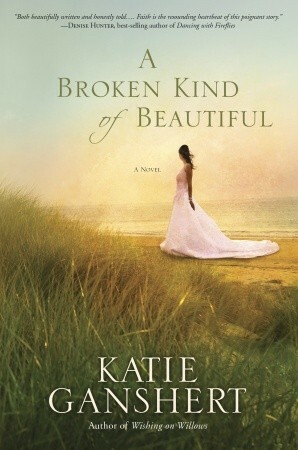 Having read Katie Ganshert’s earlier books, I was excited to have the opportunity to read and review her latest book, A Broken Kind of Beautiful. The main character, Ivy Clark had the life many only dream about, she was an international fashion model. What more could one ask for? There was a hollowness in her life that she couldn’t seem to fill. Unexpectantly, she is plucked from the limelight of New York to return to Greenbrier, South Carolina. Ivy’s step-mom, Marilyn, requests her as the model for her line of wedding dresses. Ivy knows at her age, 24 – ancient for a fashion model, she has to take this job. Ivy hopes it will open doors for her. Many events transpire during Ivy’s time in South Carolina and doors are opening as others begin to close. Ivy must determine not only her path, but also how to deal with the growing void in her life. Katie Ganshert did an excellent job with this book. Not only did the characters come alive, but it spoke truth into my own life. I would definitely suggest picking up A Broken Kind of Beautiful. To give you a taste for the book, here is chapter one.